The elevator is a vertical cubicle or chamber that can transport cargo or people from one floor of a building to another. The elevator has also been a critical plot device in several cult-television series. The creepiest use of an elevator in a TV program may have occurred June 6, 1961, in “The Villa,” an episode of the third season of the paranormal anthology One Step Beyond (1959 – 1961). In this macabre, a woman named Mary Lowe (Elizabeth Sellers) experiences a vision of someone trapped and dying in a lift, or elevator, at picturesque Villa Orlando in Milan. She and her estranged husband investigate her dark vision, but only one of them ultimately survives an encounter with the lattice-work, decorative “lift” in the villa. The grim episode ends with host John Newland “reporting” that one spouse’s body wasn’t found in the elevator…for six months. 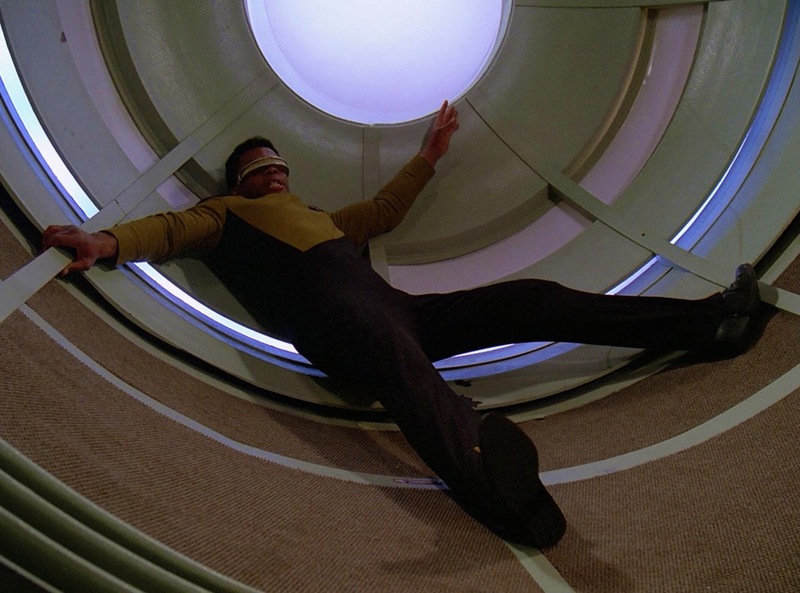 The Star Trek franchise has often featured elevators -- or rather “turbo-lifts” -- in its dramatic storytelling. In the second season, Geordi LaForge (LeVar Burton) gets the turbo-lift ride of his life in “Contagion” when the elevator’s systems fail, and he goes careening bumpily around the car. 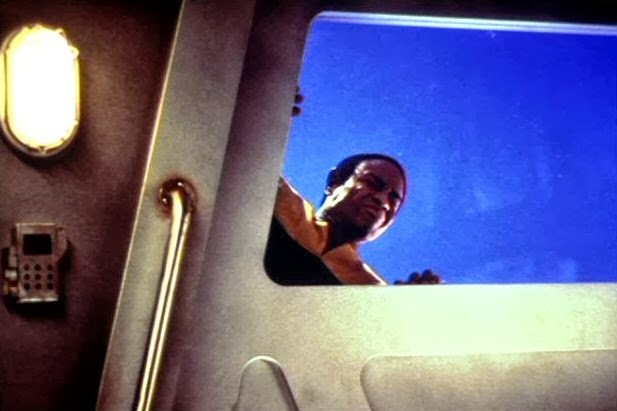 The fifth season story, “Disaster” features a subplot in which Captain Picard and several children become trapped in the turbo-lift when the Enterprise hits a cosmic string. 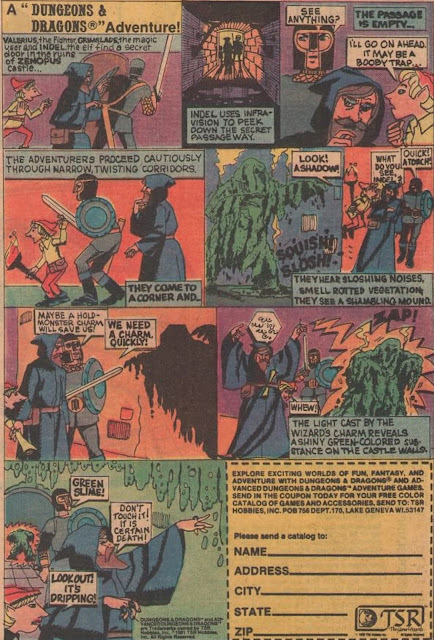 Rod Serling's Night Gallery (1969 - 1973) featured a short "black out" story called "Room for One Less," in which a devil or demon appears in a crowded elevator. The premiere episode of Battlestar Galactica (1978 – 1979), “Saga of a Star World” also featured an elevator as an important plot device. In the Ovion casino on the planet Carillon, over-stuffed, drunk and partied out colonials would board an elevator and it would go…straight down. At the bottom, subterranean floor, the Ovions would be waiting to feed the humans to their young in the hive. 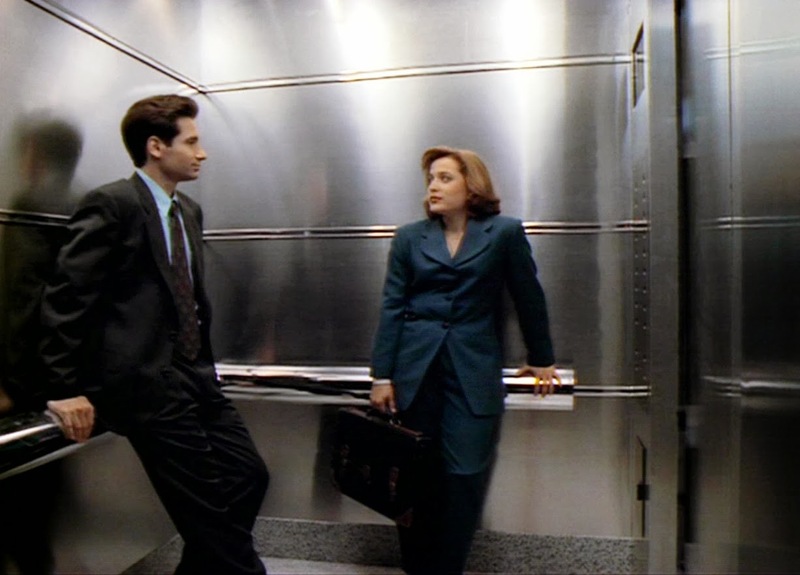 The X-Files (1993 – 2002) featured an episode with a killer elevator in a high-tech building, in the first season episode “Ghost in the Machine.” In this case, the elevator was controlled by an intelligent computer system. One of the most unforgettable scenes involving an elevator came in the non-genre series L.A. Law (1986 – 1994). In a notorious moment, the villainous Rosalind Shays (Diana Muldaur) stepped from an office hallway into what she presumed was a waiting elevator car. Instead, she fell down an elevator shaft to her death. Talk about dramatic character exits! Recently, the pilot for Chris Carter's The After (2014) also featured scenes with characters trapped in an elevator.